When New Era and Fred Segal collaborated on a limited edition Sunset Collection, Brand Studio was tasked to create a space that artfully connected the brands and fans of Los Angeles teams across all leagues. The collection reimagined the classic cap with LA team logos from public and private schools, universities and pro leagues. 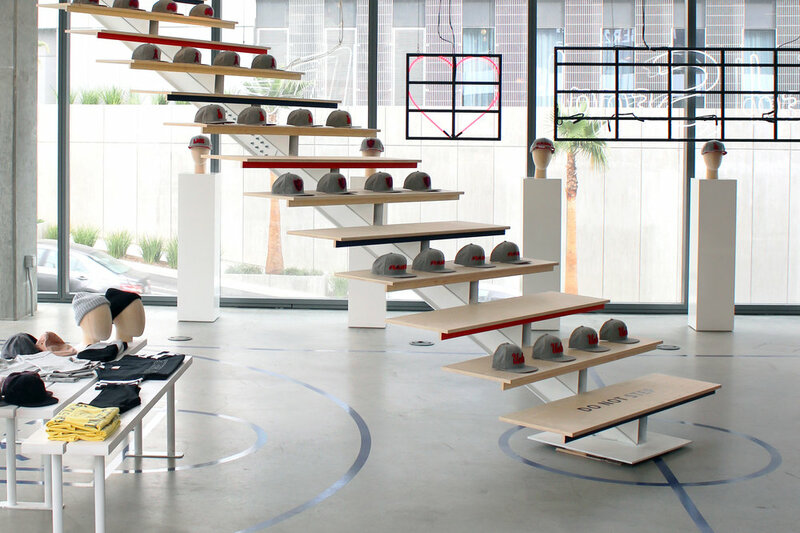 Brand Studio designed the pop up space for the unique concept as an imaginative gallery, anchoring the experience with a suspended bleacher display element and an all-angles play on court and game language. An oversized dimensional wall graphic highlighted the dynamic mix of sport, street and team culture of the city.